Jenn McAllister Photos, News, and Videos | Just Jared Jr.
Jenn McAllister just wrapped shooting on the fourth season of her Youtube series, Foursome! 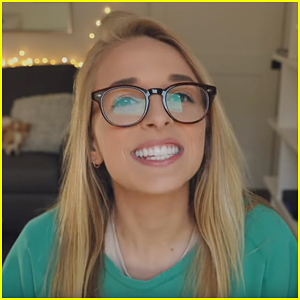 The 21-year-old influencer and actress has starred in YouTube’s longest running show since the beginning as Andie Fixler. “Over these past 4 years shooting this show, I’ve learned and grown so much not only career-wise, but as a person, all thanks to the cast and crew I’ve been so lucky to work with. And I’m so PSYCHED to have been able to play Andie DEB Fixler since I was 18 and hope I continue to play her until I’m 81. HAHA JK. Or am I? We can’t wait to see the new season! Brec Bassinger hits the black carpet at the premiere of her new Hulu series, All Night, held at Awesomeness HQ on Thursday night (May 10) in Los Angeles. 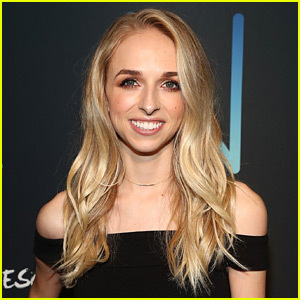 The 18-year-old actress joined her co-stars Teala Dunn, Eva Gutowski, Austin North, Jake Short, Jenn McAllister, Gus Kamp, Miles McKenna, and many more. Eva and Teala‘s BFF Sierra Furtado also stepped out to the premiere to show her support. All Night centers on an overnight, lock-in graduation party, where a group of new grads will do whatever it takes to make their remaining high school dreams come true. Check out the latest trailer below and stream on Hulu now! Jenn McAllister is one of the OG YouTube stars and now, she’s opening up about how over the years, she’s kind of fallen out of love with the platform. The digital influencer, who now stars in the AwesomenessTV’s Foursome, opened up about why she “fell off” the platform and her feelings about it going forward. Andie and Kent lay on the nauseating cute factor in the hallway on their way to math class in this exclusive clip from Foursome‘s new season. In the clip, we also see that Josh is majorly jealous! Josh, who is Andie’s brother’s best friend, has always been Andie to cry on – but recently, he’s seeing Andie in a new light in the arms of another man. Oooo, we smell some drama and we love it! Foursome‘s brand new season premieres TODAY on YouTube Red! Check out the clip below and then go watch the entire series! Foursome is coming back with an epic third season — the first YouTube Red show to get that! JJJ caught up with star Jenn McAllister about the series and found out 10 Fun Facts about her as well. Foursome follows Andie, who is undateable, thanks to her older brother Alec (Logan Paul), the most popular guy in high school, who makes sure no man comes near her. Fortunately, Andie has her best friends to help her shake the “little sister” stigma. In the third season, Andie’s got the boyfriend (Rahart Adams), the best friends and a ticket to a tropical paradise for Winter Break vacation. When a new clique is introduced, it’s only a matter of time before something goes wrong and friendships are tested. Foursome returns to YouTube Red on November 1st.